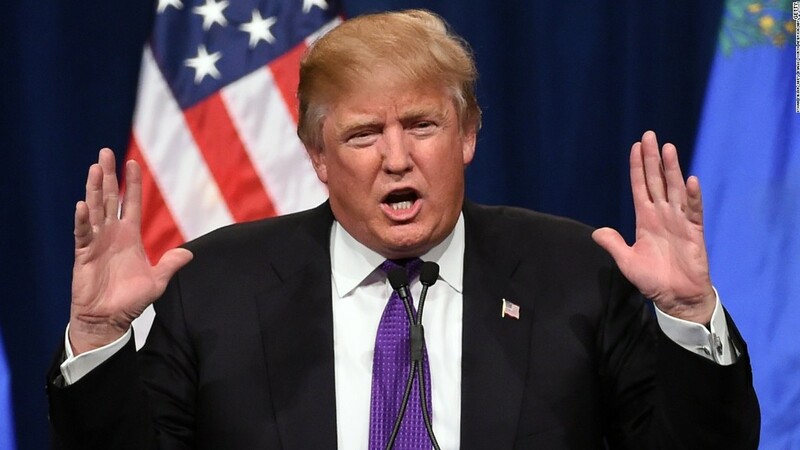 The study, which was conducted by The New York Times using mediaQuant and SMG Delta data, offers evidence that the American news media has given vastly more coverage to Trump's campaign. In nine months of campaigning, Trump has earned $1.898 billion worth of media attention from television, print and social media, the Times study finds. Cruz, by contrast, has received just $313 million, and the remaining 12 Republican candidates received even less. Taken together, Trump's 13 Republican competitors received a total of $1.159 in free media coverage, more than $700 million less than Trump. Meanwhile, Trump has spent only $10 million on television advertising, accounting for half of one percent of the total value of his media attention. By contrast, Jeb Bush spent $82 million on advertising, while Marco Rubio has spent $55 million. Bush earned just $214 million in free media coverage, while Rubio has earned just $204 million. Trump's free media attention also eclipses his Democratic competitors. 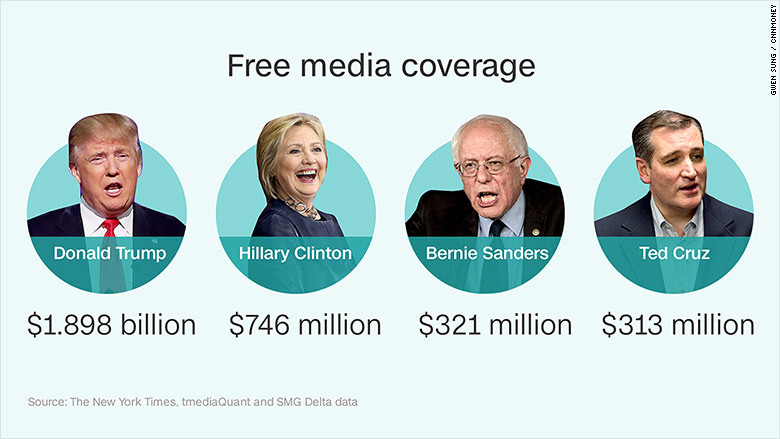 Hillary Clinton has earned $746 million in free media coverage, while Bernie Sanders has received $321 million. Both Clinton and Sanders have spent $28 million on advertising.